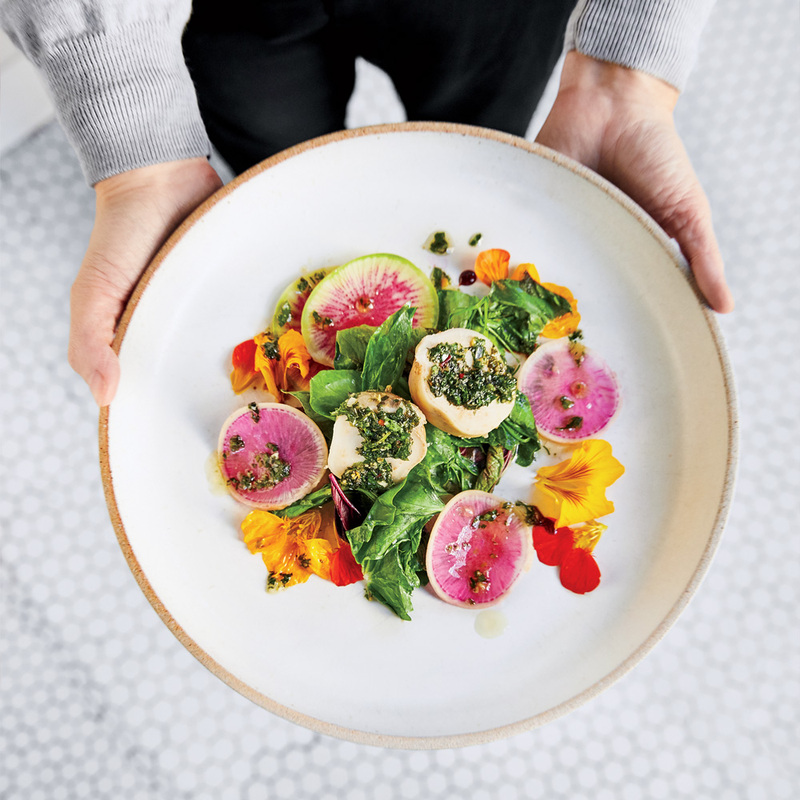 Vegetable-forward cooking is tipping into ubiquity across the country, but nowhere has it gone more mainstream than Los Angeles, the city at the white-hot center of the wellness revolution. With so many plant-based menus popping up, you can easily go meatless for every meal of the day. Check out three new healthy havens—and the dishes to order—morning, noon and night. 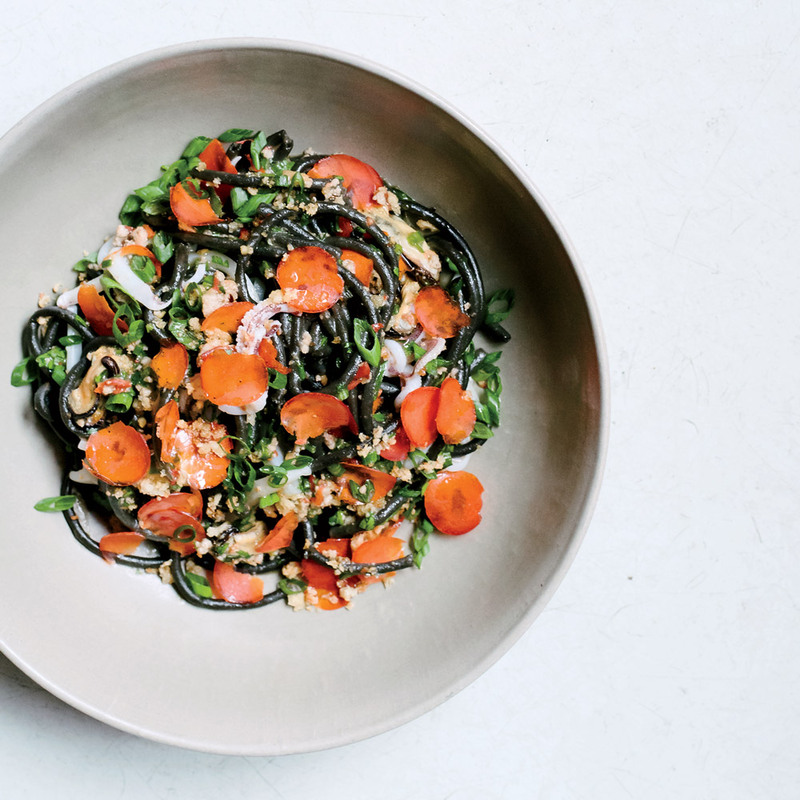 “Our menu is based on what’s available seasonally, and, luckily, in California that’s always a lot,” says chef Josef Centeno of his vegetable-focused cuisine at P.Y.T. on Main Street in downtown L.A. Centeno stocks his kitchen with produce from Lala, a farm at a local school, and he makes particularly good use of it at brunch. Try his restorative pozole with celery root and lovage. You can add protein to any of the bowls, wraps and salads at Beefsteak in Fairfax, but Marcel Vigneron offers compelling reasons not to. “We don’t use it as a crutch,” says the chef, who finds brilliant alternatives to add richness. Instead of anchovies, olive brine brings an umami punch to a sunflower-seed-packed Caesar, and cashew cream thickens pumpkin soup. Fried seaweed chips with a yuzu-spiked guacamole are just one example of how Nick Erven is reimagining meat-free food at his Santa Monica restaurant Erven. “It’s forced me to be more creative and informed,” says the chef, whose $35 tasting menu is one of the best deals in town.